Although Britain and Ireland appear to be really rather fabulous at Rugby….thought I’d get that in there….., I do worry that we are falling behind the curve in terms of laryngoscopy in the ED. If you follow many of the luminaries on twitter such as Scott Weingart and Jo Deverill you might think that you are delivering poor quality care if you are still using the old Macintosh blade and struggling to see the larynx. If only you had a video laryngoscope you would be a much better doctor, your patients and staff would think you are fabulous and you would rightly be at the cutting edge of clinical care. Back in Virchester we don’t use a video laryngoscope, we have access to an AMBU scope in the ED and the gas-board can bring something posher from theatre, but it is by no means routine. We also carry Airtraq scopes in the difficult airway trolley as a rescue device (but without video attachment). The problem is that in ‘#FOAM world’ I still feel that I am behind the curve on this (geddit). Minh and Tim make me feel inadequate quoting paper after paper on the benefits. It’s not everyone though, I think Cliff Reid has also commented about why they don’t use VL in the HEMS arena – to summarise – because they don’t appear to have a need for it….. failed intubations are rare after all. However, I still feel bad and that perhaps I really am missing out. That’s why this paper caught my eye this week. Unlike many studies on the use of different airway techniques this is an RCT looking at patient outcomes between video (Glidescope) and boring old direct laryngoscopy. [learn_more caption=”Who was studied”] 623 patients in a trauma receiving unit. All required intubation. Patients were randomised to either normal DL or VL. Data was collected through monitoring and also be review of closed circuit TV in the resus room. This is an excellent way of recording data about times, attempts and difficulties. Much better than retrospectively filling in a form for instance. Anyway, they do identify a statistically significant difference in the head injury group and point to differences in time to intubation and hypoxia as a possible mechanism. [learn_more caption=”Any other concerns?”] There were quite a lot of exclusions at the discretion of the attending physician. 210 to be precise and this is unfortunate as they may have represented a group different to those in the trial. The reasons for this are alluded to in the full paper which suggests that certain physicians were not ‘participating fully’, but that may well reflect reality as this is an area where divisions between old and new technologies appear to be fairly firmly held. I was looking to see if there were differences in case mix that might explain the results, but the characteristics of patients in the DL and VL groups appear similar. 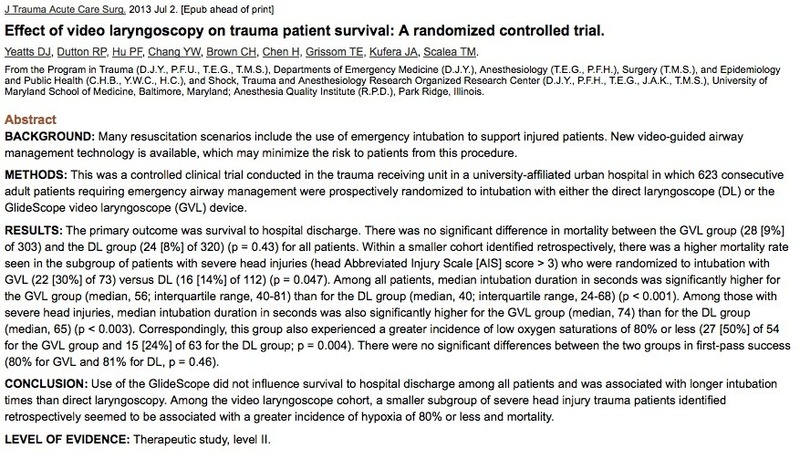 This data is not given for the head injury sub group though and I would have liked to see that to help interpret the difference in outcome for those patients. [learn_more caption=”So should I buy a video laryngoscope then?”] I’m not sure this study tells me the answer to that, but it does show that in a real clinical setting, with real patients and real trainees the perceived benefit of VL may not be quite as dramatic as we had hoped. This is only trauma though. Trauma patients are not the entirety of my practice and arguably some of the most tricky airways I see are in other patients. This study does not address the breadth of EM practice. What I do like is the fact that this study is an RCT of a device. 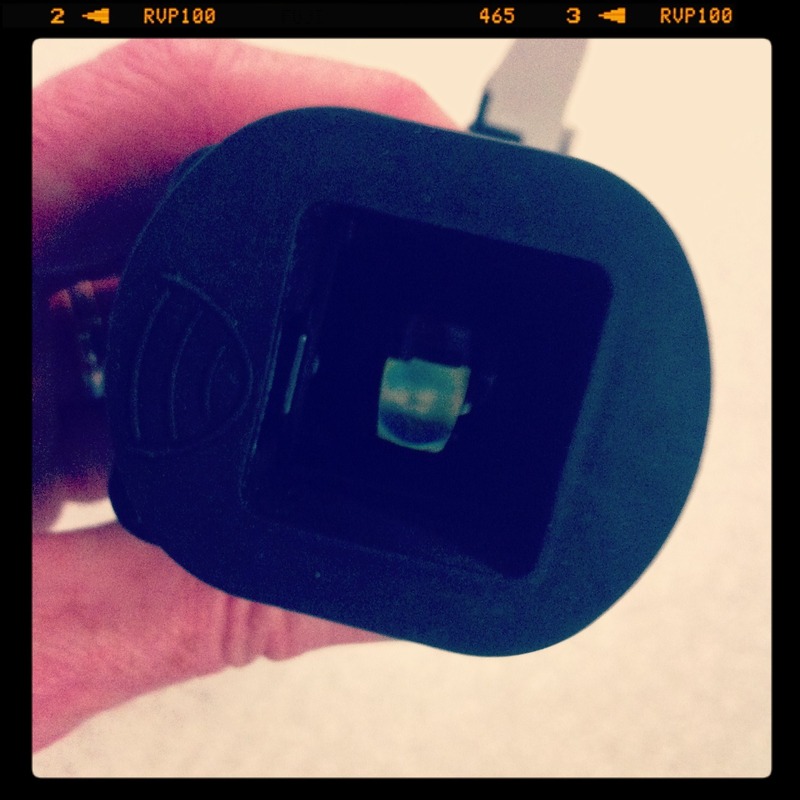 We are used to seeing trials of drugs, but less so for devices and diagnostic tests. Arguably they are just as important and I commend the authors on this paper. For the moment I shall not be leaping in and spending the ever decreasing coffers of the NHS on a VL, but the Jury’s out. In any case, we must remember that SMACCGold is in Queensland next year and I might just need to speak to Jo Deverill…. PS. If you want to know more on this topic there is a follow up post about our use of evidence for device assessment here. That data is in the full paper. It’s a mix of specialities and grades (like in many EDs). 80% first pass success implies that the Glidescope just doesn’t work well in this setting. You do wonder whether it actually made things worse in the most vulnerable patients (those with severe head injury) by delaying intubation and exacerbating desaturation. Half desaturated below 80%. That figure seems appallingly high. The Glidescope is tricky to use, due to its steep angle and lack of a channel. Use of the Gliderite stylet helps: if you just use a conventional malleable stylet and don’t shape it right, it is difficult to get the tube on target. That said, this study’s first pass success rate for direct laryngoscopy is just as bad, and the 24% incidence of severe desaturation in the DL group also seems very high. It makes you wonder whether the patients have been optimally positioned and pre-oxygenated. I worry when I see evidence like this touted as a reason to shun video laryngoscopy. Are we really so good at DL that we can’t improve? VL is just a CCD on the end of a stick, a smart way of seeing round a corner, same idea as a traffic mirror but with a neat little sensor. Why has this become such a big deal? My current preference is for the Pentax Airway Scope. Its channel makes it faster and easier to use than the Glidescope, The hyperangulated blade affords a better view of anterior larynxes than the C-Mac and McGrath, with minimal C spine movement. 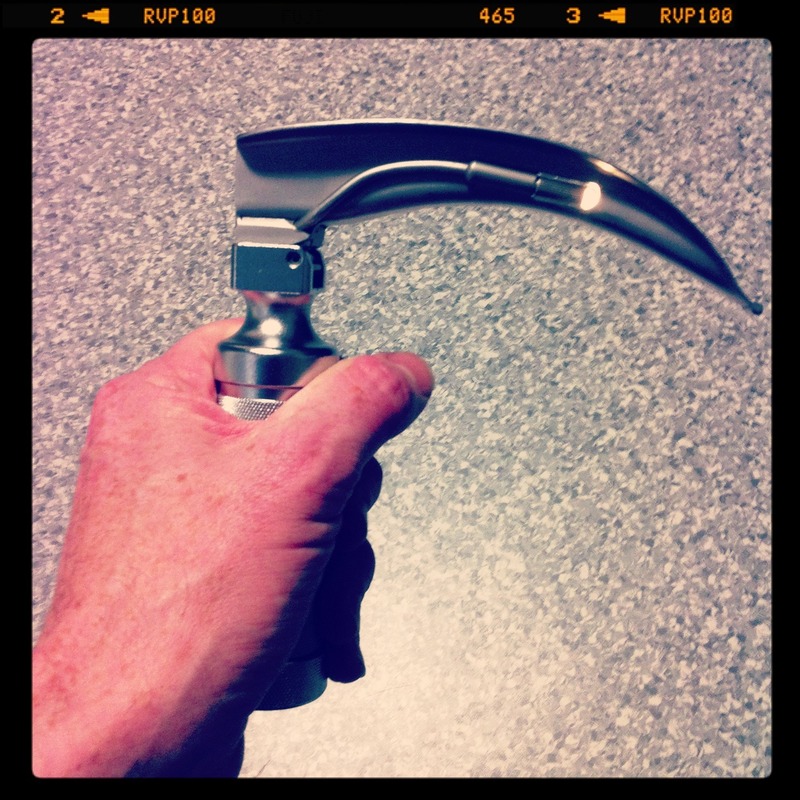 All the different devices – including the standard Mac laryngoscope – have their pros and cons. But VLs are evolving fast. I am sure they will become the standard ED technique by the end of the decade. To anyone who hasn’t used one in the clinical setting: pick your favourite, ask a friendly rep, practise on a manikin, and trial it in your ED. The sky is not going to fall in. Fair point Jo. This is indeed a test of the glidescope vs DL in a limited patient group. It’s not VL in general, but it is part of the debate. The failure rates and complications may reflect the complex case load or the clinicians (I can’t tell which). They also have better data reporting and acquisition than in many studies (through CCTV & monitoring) which may increase reporting. As I summarised, this paper does not really help me answer my question and there is plenty of other sorts of data out there which would need consideration before coming to any final conclusion (the jury is still out IMHO). Why don’t you try before you buy? That might answer the question for you. Surely a VL rep would let St Emlyn’s have one for a month. Jo’s points on the Glidescope well made. I reckon is a **** of a device. Would love to have seen the video footage of those resus rooms. Good article and summary….but not convinced is a sound argument against VL per se. In terms of St Emlyns, you have already decided there IS a need for some sort of difficult airway kit – hence the AirTraq and AmbuAscope. I am presuming that you are using the latter to pass an ETT thro iLMA as a conduit, rather than let the EM docs loose doing AFOIs? And clearly you have recourse to the experts from anaesthesia along with their toys (presumably either a mindnumbingly expensive CMAC or a fibreoptic tower). – many types of device out there. Try before you buy. – teach DL. 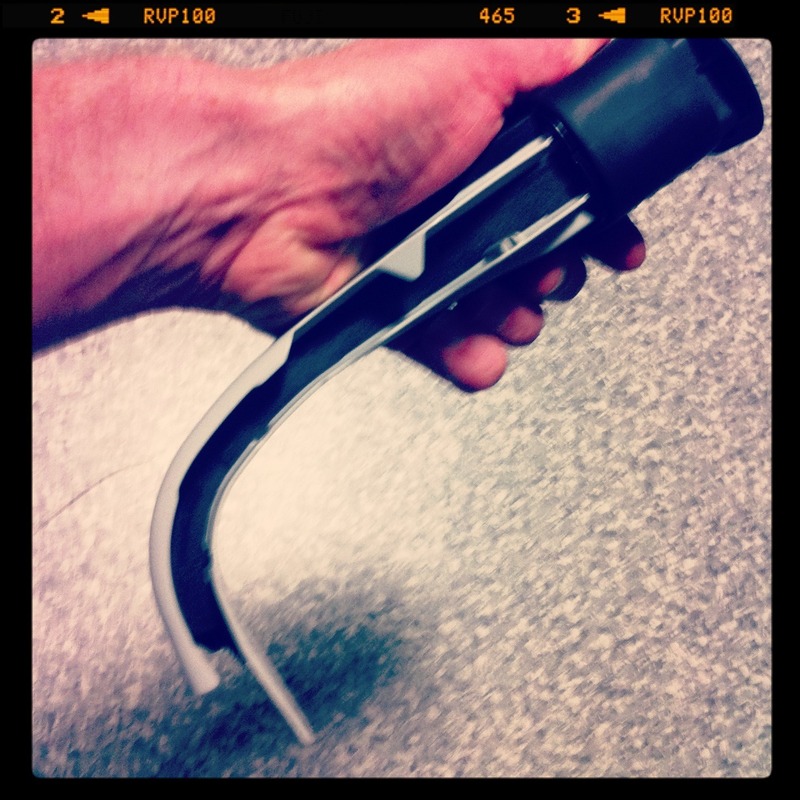 VL has a role…but not a primary airway device. fair points all round but I want to point out something which Jo raised. On the issue of why this is a big deal and shunning VL or not. I believe its not black and white. DL is a good option but its not perfect. But for the cost, its a reasonable choice. What I find obscene is the cost of VL and the arguement that its safer than DL, better than DL, ergo we must , in fact its our duty to spend the $$$$ to get VL in the name of patient safety. This idea that those who choose to practice DL and teach it, are somehow inferior or more risk averse, is also insulting to say the least. It is my hope and I see this happening already, that VL will become as affordable as DL, probably by end of decade. Then I think you can have both and decide what best to use, and to my mind this will always include DL. This study from Dutton et al shows DL is reasonable option. VL will add another reasonable option and with time and affordable one. I dont mind a colleague choosing one or the other and sticking with that. I dont think saying one is better than other or safer is really borne out in the evidence and in fact in real practice. I agree with Jo that trialling a device is reasonable and deciding for yourself. The biggest barrier in UK is cost, especially in recent times. Patient safety arguments are the best way to justify new kit and I guess I was hoping that this study would provide something along those lines. It hasn’t, and there are arguably reasons why, but it certainly has not helped any business case that we might put together. This is the reality of life and finance in the NHS. Funding aside its a moot point for me, if we use something robust without little plasticky bits and channels and anything which is not part of the handle, max 2 pieces. For ED it needs to be simple. At the moment Cmac and the glidescope copy (new) do that. They allow retention of DL skills and all you need to do is turn around and look at the screen when in the poo and all is revealed. The Cmac D blades, keep movement to a minimum for collared patients. I agree with Tim, I think the glidescope is crap, but they are meeting the market as Minh pointed out with most recent models and like the light bulb they will be affordable soon enough. Difficult DL occurs in the elderly more than in any other patient group–they are old and stiff. Trauma happens to mobile individuals that wander into harm’s way, or get blindsided while they are minding their own business, i.e., young people. That’s my short opinion on this topic. Long VL times because of lack of experience. Short DL times because of muscle memory–the technique is hard wired into the endoscopist’s nervous system, and they don’t need to think about what they are doing–they just do it. I agree these things are still too expensive. They are priced to match the cost of a diagnostic bronchoscope, because that is the go-to device of the anesthesia community. You guys are cool, keep up the good work. Don’t Worry Simon you are not alone!!! Here in Italy VL is still not so popular and used just as back-up……. ….I think that in the next future when VL costs will go down DL will become the Back-up plan so mantaining skills in DL will be important especially when technology fails (usually batteries go down in the worst moments) and VL will be the routine because of the ease of use ( Of course this is not valid for Glidescope – I completely agree with Tim- i hate that f**** toy- but is valid for new toys like Pentax and King vision (that furthermore is not so expensive))……but as Minh said we will see in the next 6.5 years!!!!! Would it be churlish of me to point out that standard laryngoscopes also have batteries? And contacts and bulbs? And that they can fail? Cars can also break down. But I don’t know of anyone who keeps a back-up donkey. I take it back! Never mess with an Italian with a donkey in his trunk.